The Worthington Pro Grade 4.5 lb. 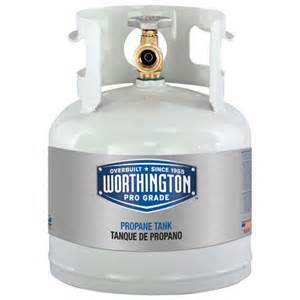 Empty Propane Tank and holds one gallon of gas. It's refillable for your convenience. It's also easily portable not only to and from the store to get refilled, but also to wherever you need it ─ your home, RV, vacation home and more.